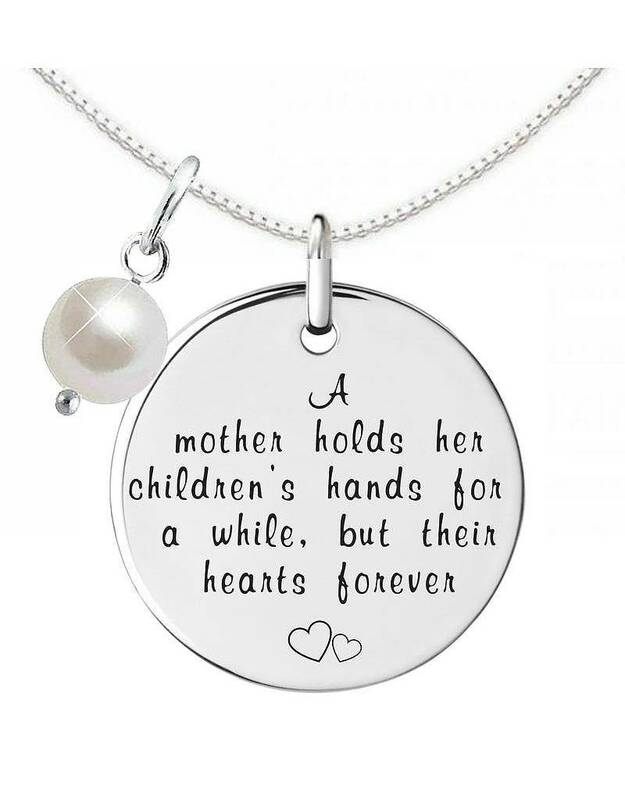 Silver Necklace + Pearl "A Mother holds her children's hands"
Home / Silver Necklace + Pearl "A Mother holds her children's hands"
Beautiful silver necklace includes with a beautiful text that honor the love between mother and child. The hangers are pre-engraved, so you will get delivery in one day! 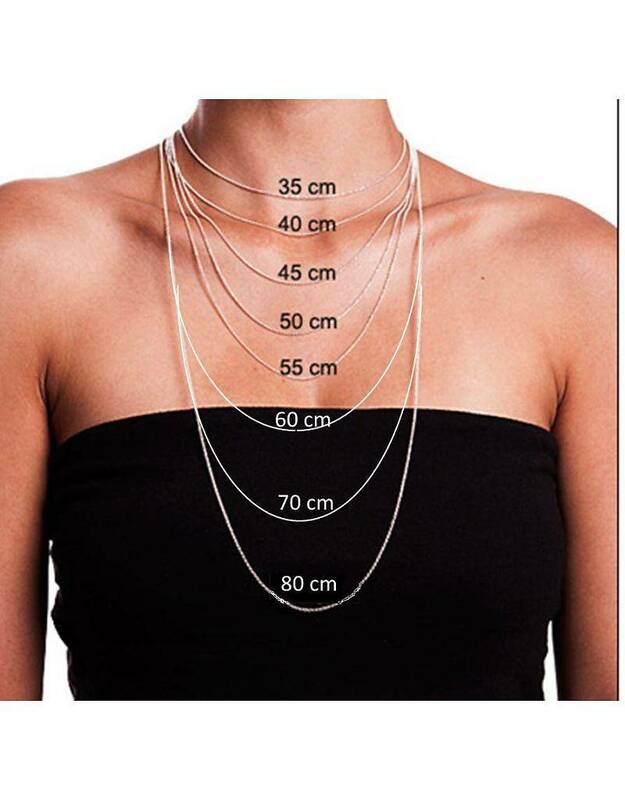 Including Necklace & Coin & Pearl. 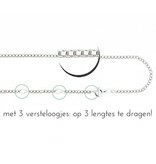 ♥ The coin is approximately 17mm diameter (subtle dimension) and as many as 1 mm thick. 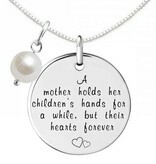 ♥ The text on the pendant is: A mother holds her children's hands for a while, but their hearts forever. ♥ Do you want a back engraving of your choice? 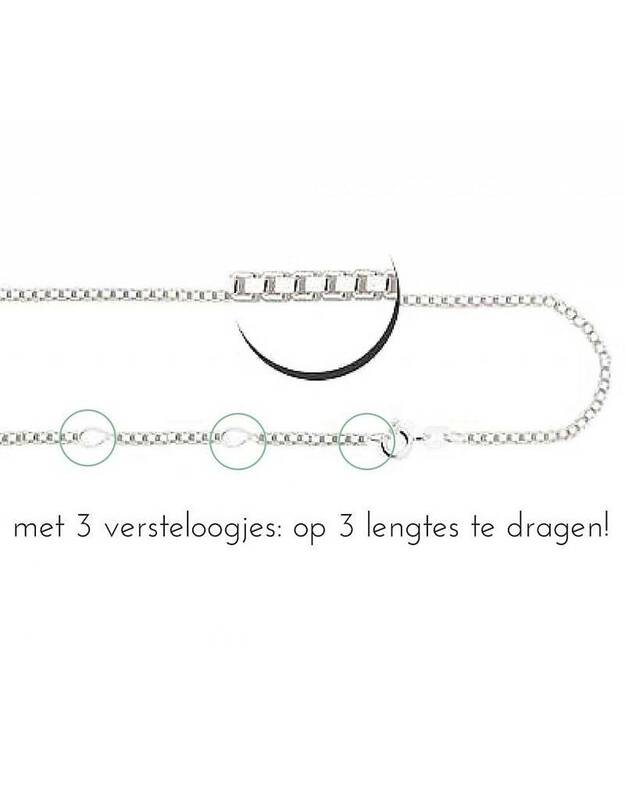 Only for € 4.95.